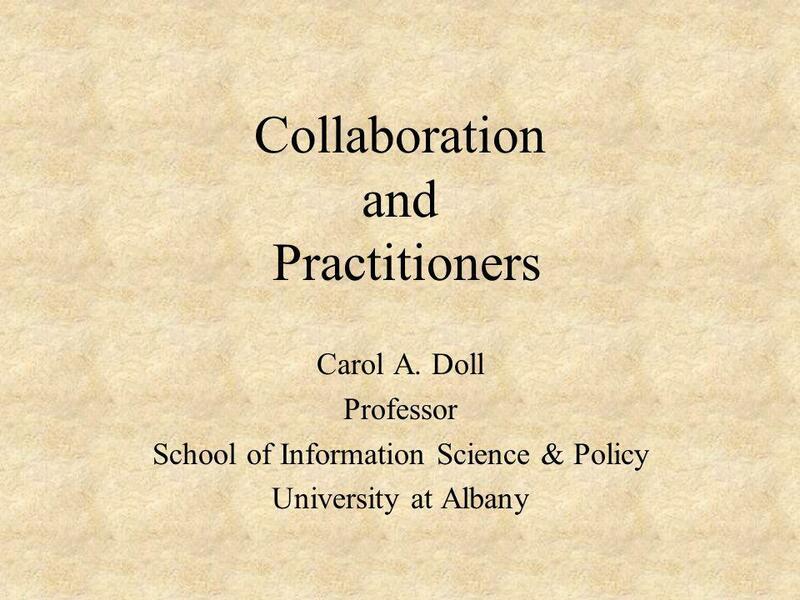 Collaboration and Practitioners Carol A. Doll Professor School of Information Science & Policy University at Albany. 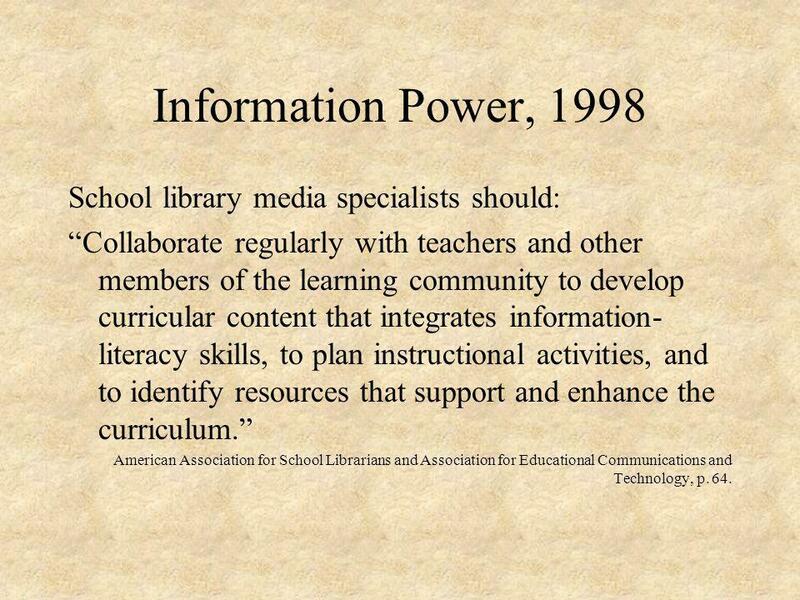 2 Information Power, 1998 School library media specialists should: Collaborate regularly with teachers and other members of the learning community to develop curricular content that integrates information- literacy skills, to plan instructional activities, and to identify resources that support and enhance the curriculum. 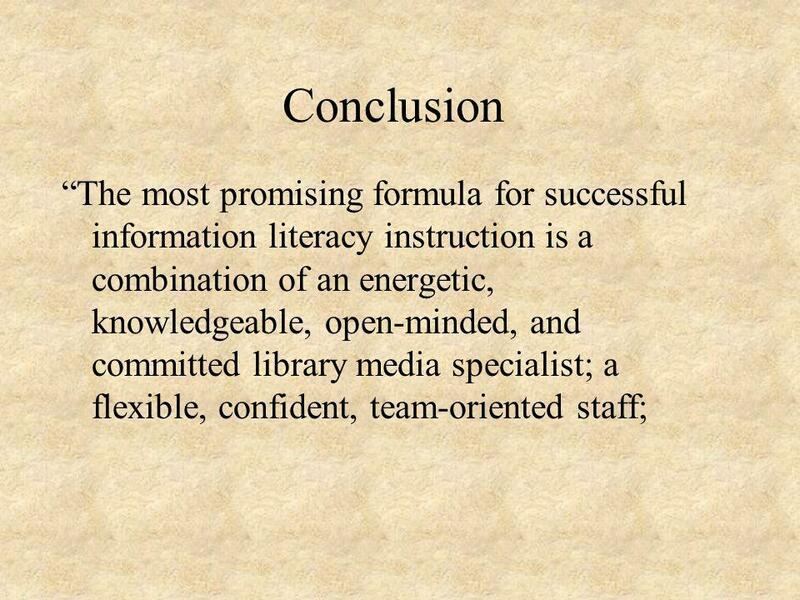 American Association for School Librarians and Association for Educational Communications and Technology, p. 64. 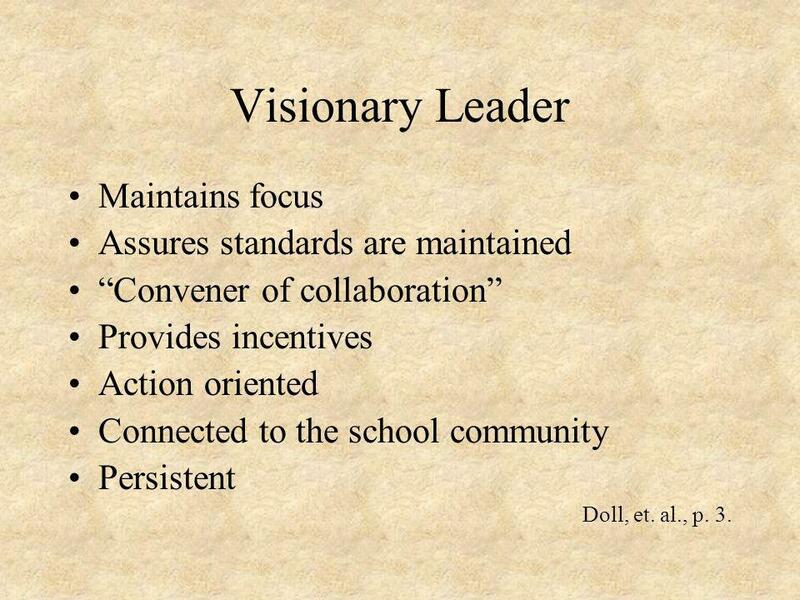 5 Visionary Leader Maintains focus Assures standards are maintained Convener of collaboration Provides incentives Action oriented Connected to the school community Persistent Doll, et. 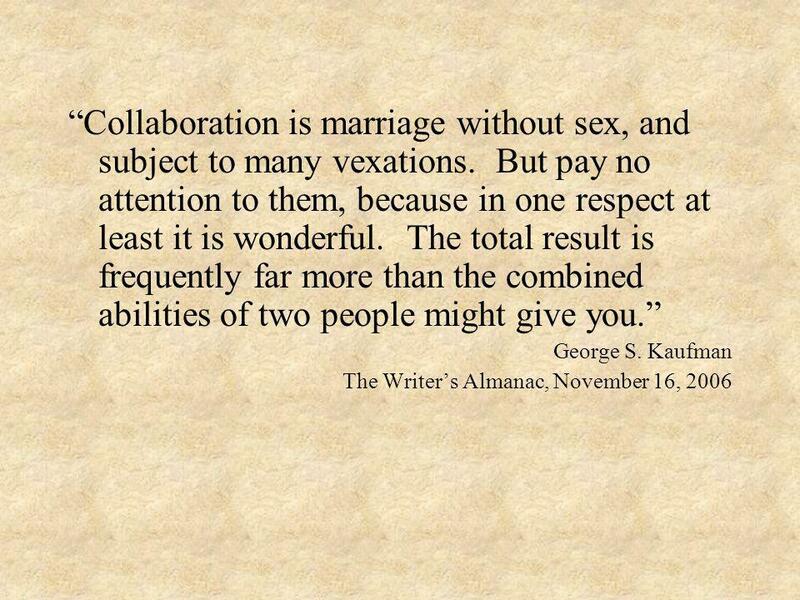 al., p. 3. 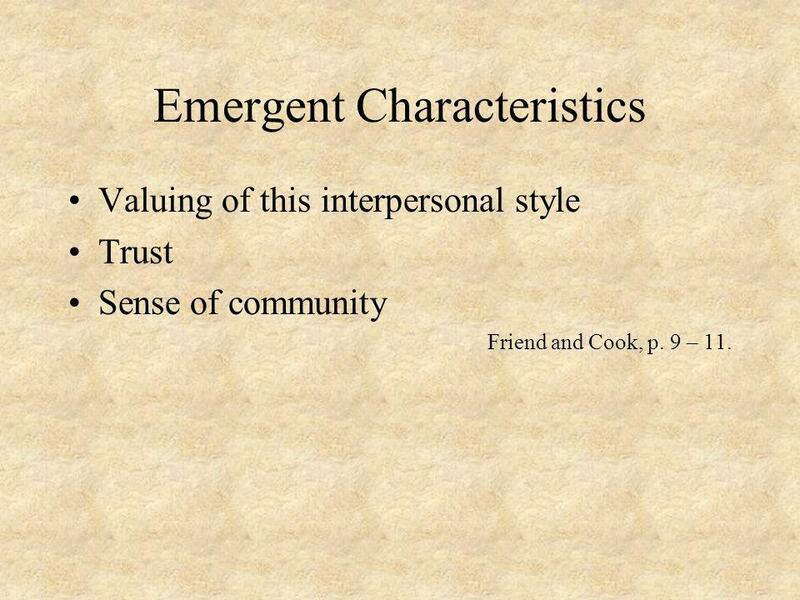 6 Emergent Characteristics Valuing of this interpersonal style Trust Sense of community Friend and Cook, p. 9 – 11. 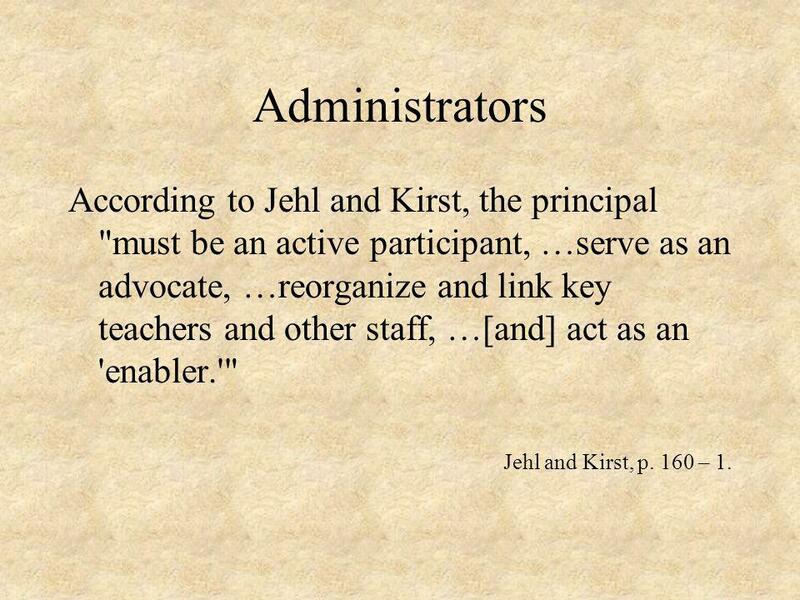 8 Administrators According to Jehl and Kirst, the principal "must be an active participant, …serve as an advocate, …reorganize and link key teachers and other staff, …[and] act as an 'enabler.'" 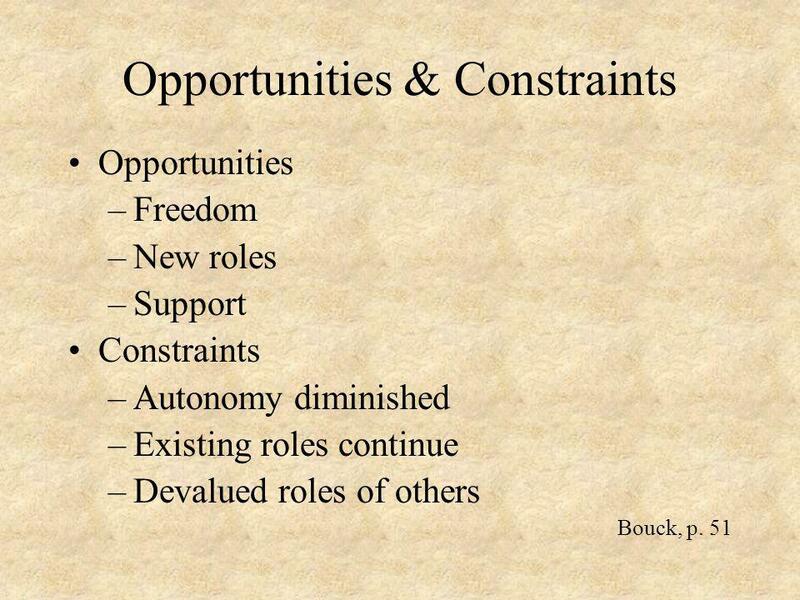 Jehl and Kirst, p. 160 – 1. 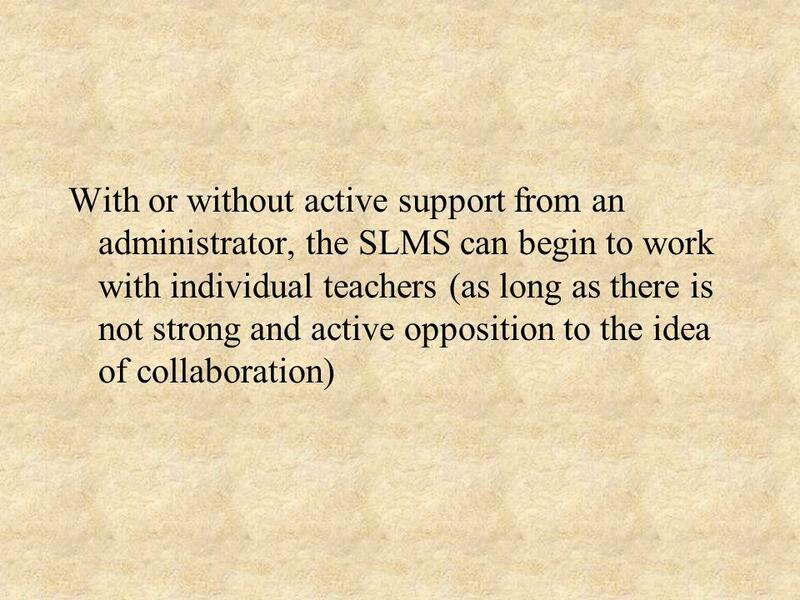 10 To Get Principal Support Ask him/her to attend project meetings Create a MOU for what the project will provide and what the principal will provide Ask for recognition of participating teachers ID information/data that can be used elsewhere Ask to limit the participation of teachers on other projects. Howley, et. al. 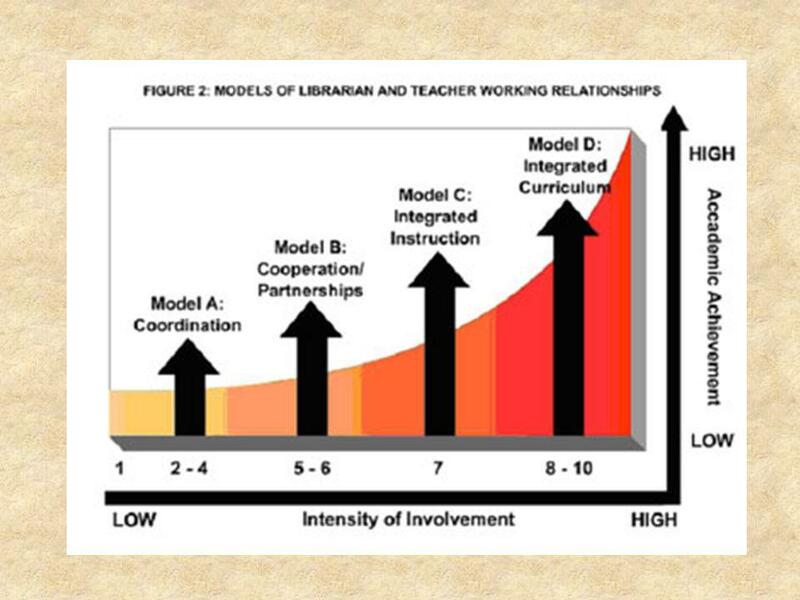 18 What Collaboration Looks Like There have been several models developed to explain collaboration. 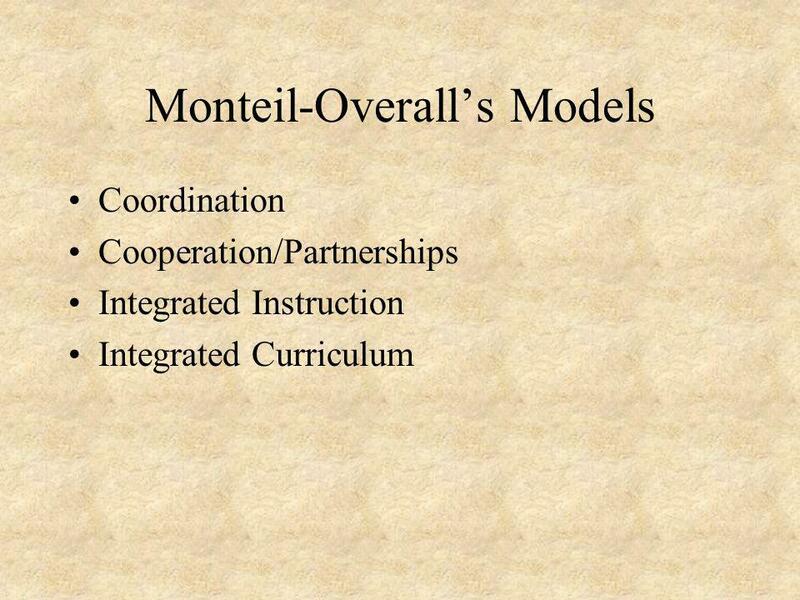 The scheme I like best has been proposed by Monteil-Overall. 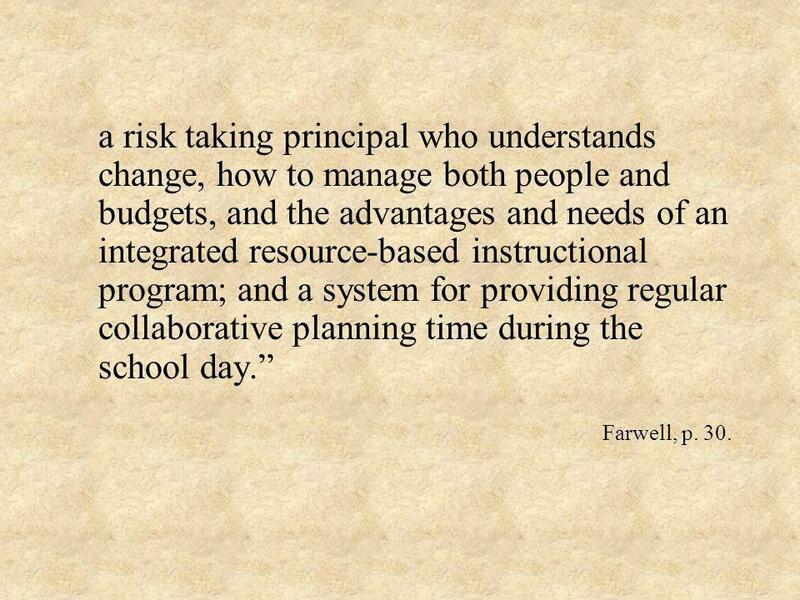 23 a risk taking principal who understands change, how to manage both people and budgets, and the advantages and needs of an integrated resource-based instructional program; and a system for providing regular collaborative planning time during the school day. Farwell, p. 30. 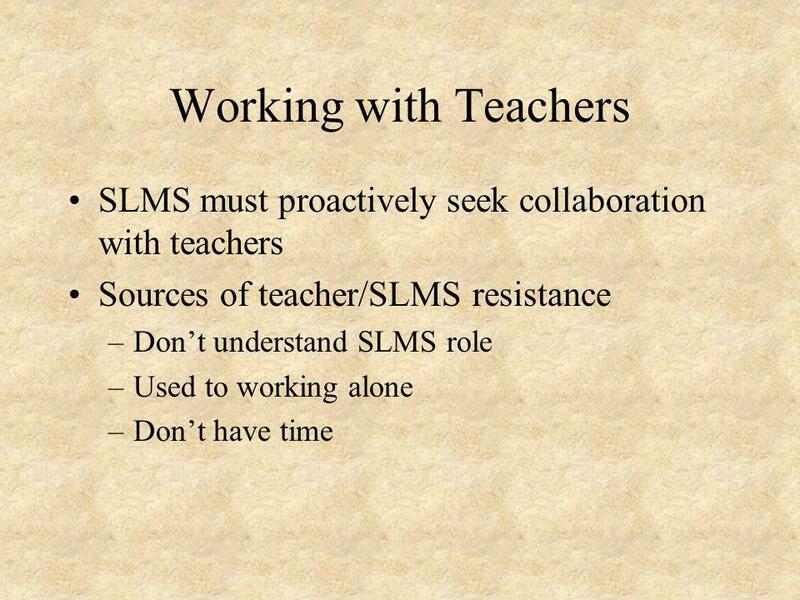 Download ppt "Collaboration and Practitioners Carol A. Doll Professor School of Information Science & Policy University at Albany." 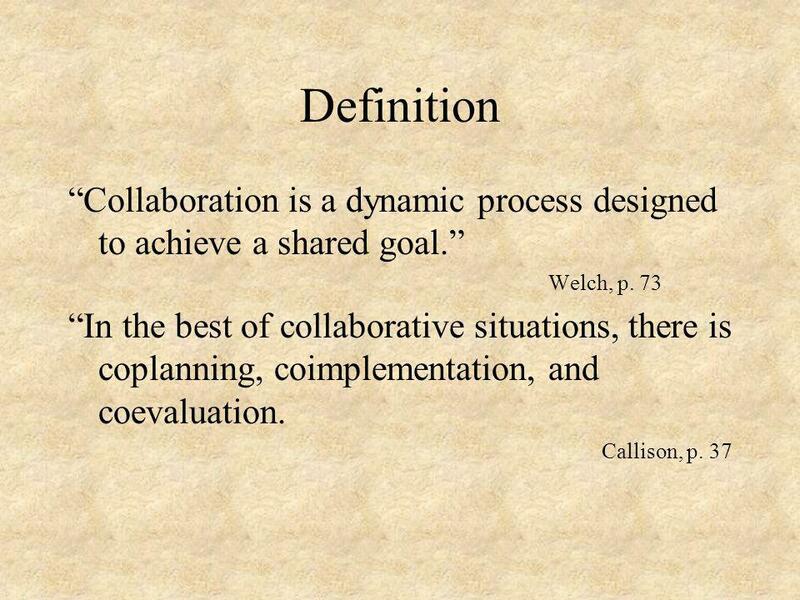 Definitions Innovation Reform Improvement Change. 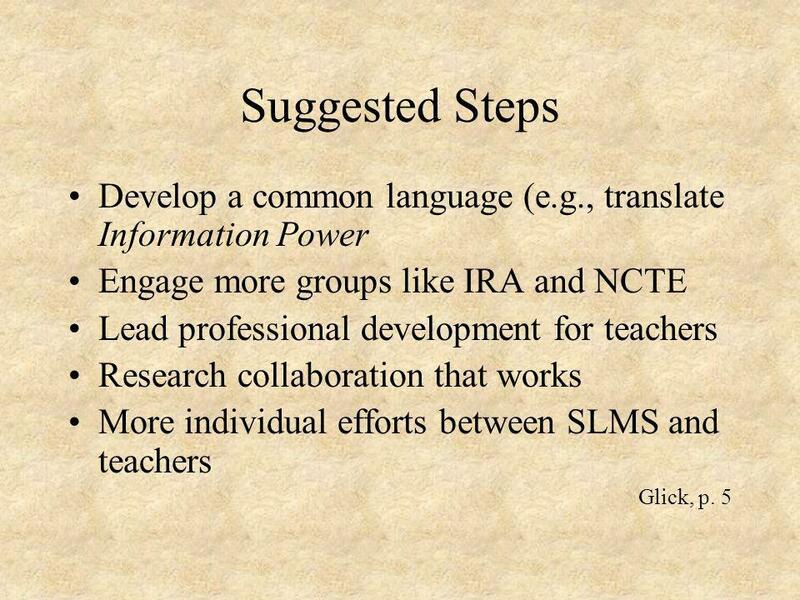 Copyright 2003, Tricia S. Jones Curriculum Infusion Insights from the National Curriculum Infusion Project Prepared by Tricia S. Jones, Ph.D. Dept. of. Project L.O.F.T. 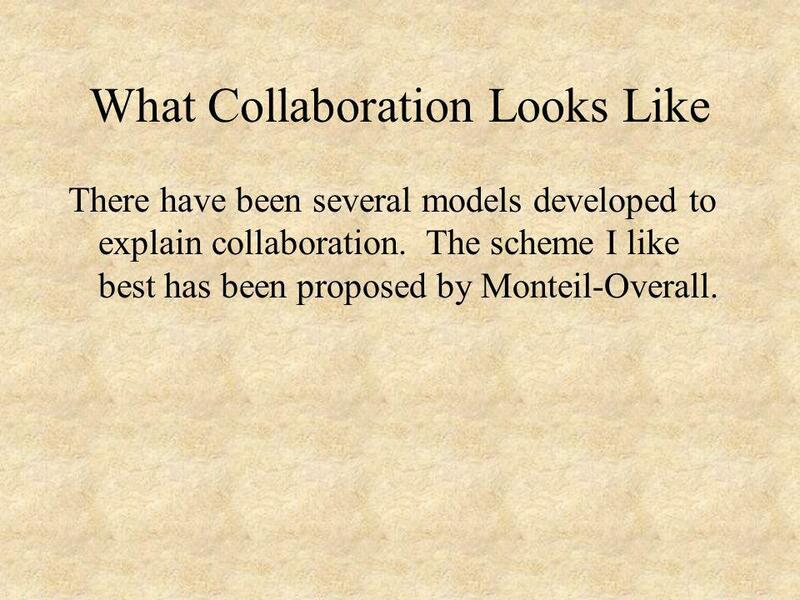 Report May 2007 through October 2007 Creating a design to meet stakeholder desires and dissolve our current set of interacting problems. By Susan Biggers. Lisa Eidson, Media Specialist at Villa Rica Middle School in Temple, GA, goes beyond the norm when teaching teachers and increasing. 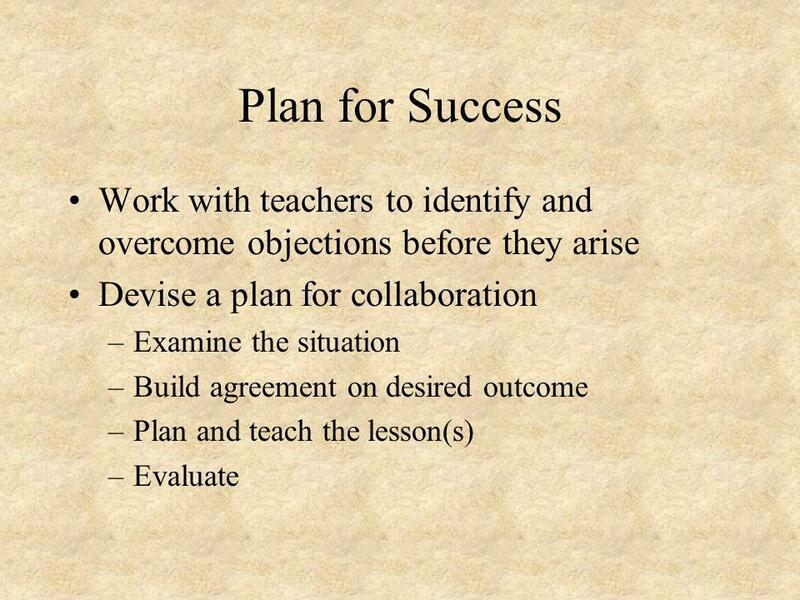 Co-Teaching as Best Practice in Student Teaching Conclusion 1. 1 Family-Centred Practice. 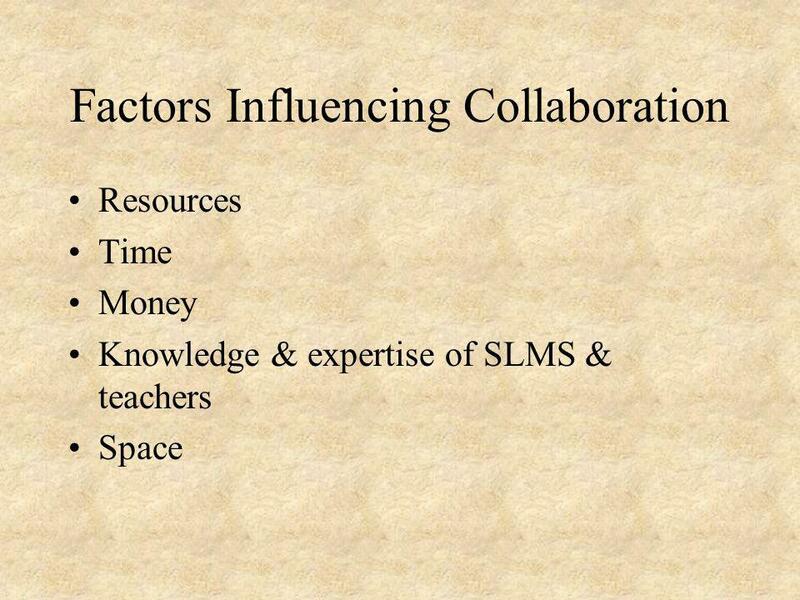 What is family-centred practice? 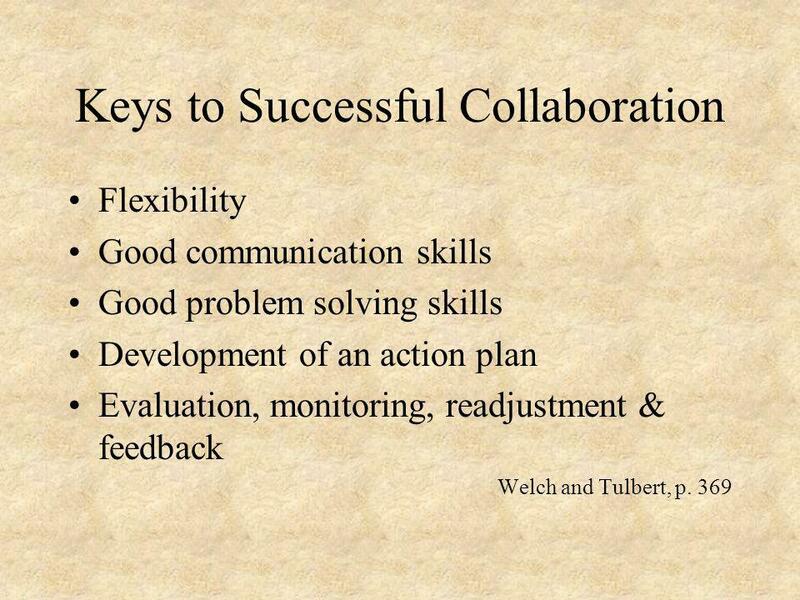 Family-centred practice is characterised by: mutual respect and trust reciprocity shared power. 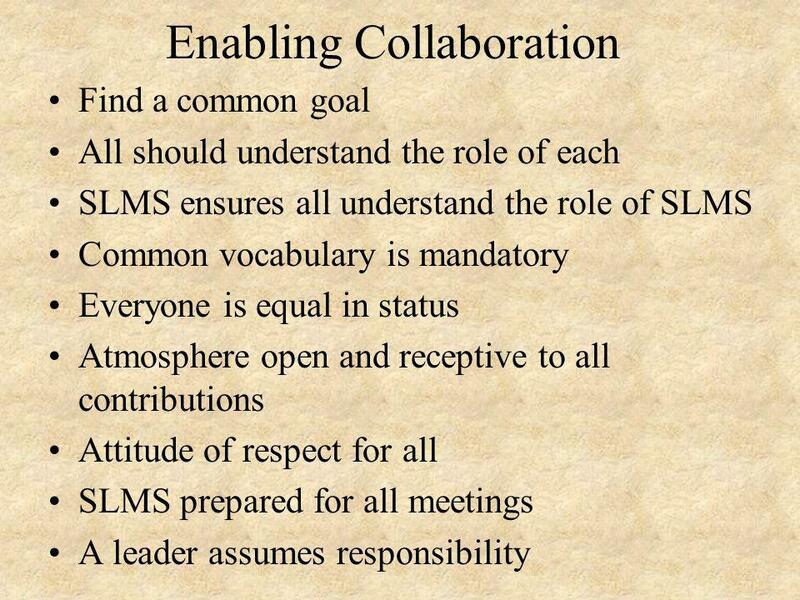 The Characteristics and Conditions Associated with Exemplary Middle Schools. Be a Part of Something Great! Learning Communities at Wayne State. 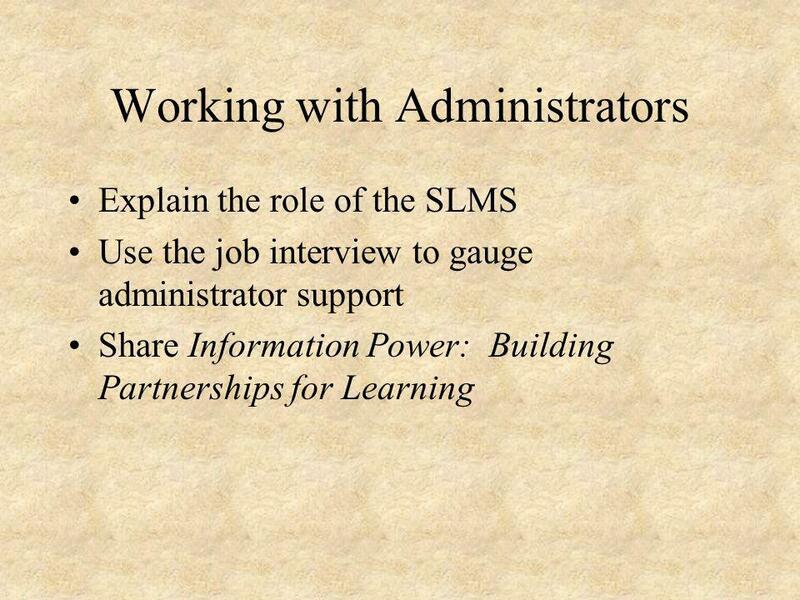 Principalship: Roles & Responsibilities PINSET-September 2011 Presented By Sajid Masood The Knowledge School.